Crystal Bar is a vegan company started by Kat, an amazing Aquarius. Not only is she the CEO, she also takes part of every aspect of her business. Now that's a lady of power! Recently she's been posting on instagram about what it's like to be a small business owner. I'm learning a lot from these posts. Today I will be reviewing one of her top sellers, the Essential Chakra Kit. 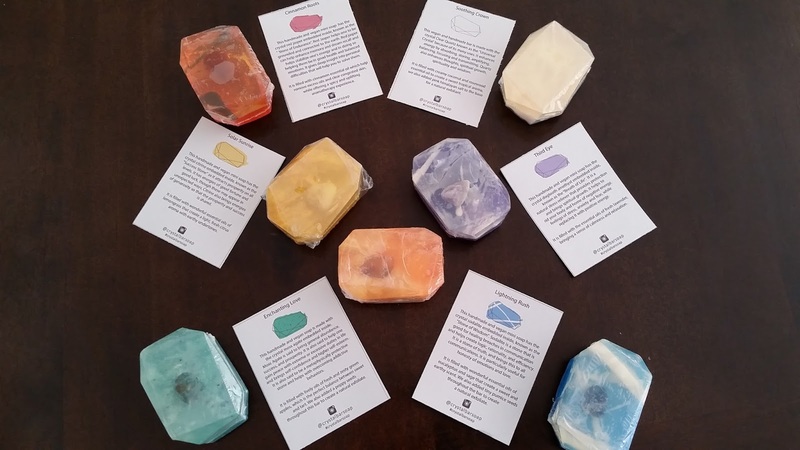 There is a soap for each of the 7 major chakras. Each set is housed in a beautiful box and includes a detailed product card for each soap. 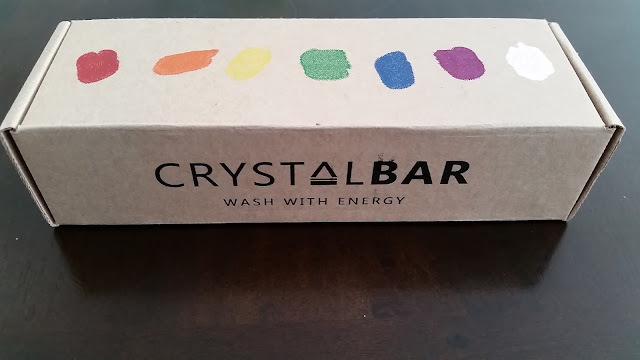 I am no stranger to Crystal Bar soap. I first tried the Enchanting Love soap from my Goddess Provisions October box. I instantly fell in love with how special and magical it was. I've made a couple of orders since and have expanded my collection. The customer service has always been lovely. Once you have finished your soap, there is a crystal inside for you to keep! I love using the soaps to wash my hands with. Washing with the intention of the crystal as well as love and light has truly uplifted me. 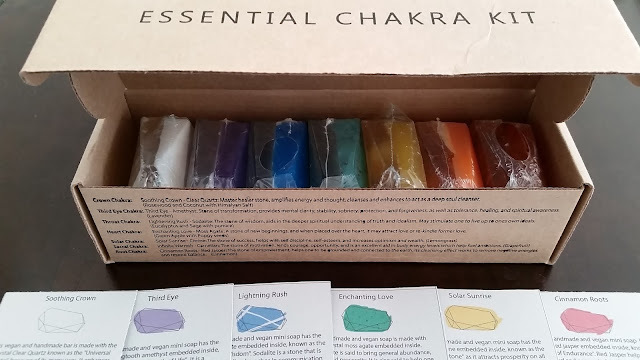 My set was missing the product card for the sacral chakra soap, so I decided to take a picture of it. You can see the shimmer and golden glow in this bar. Look at those layers! They are even more gorgeous in person. Overall, these soaps get an A+ from me! I wouldn't change anything about them. They have fantastic concepts, look beautifully magical, and each soap is so unique. They are handcut and made with love. Every kind of soap has a different crystal, smell, colour and design. They make fantastic gifts. I tried a bathbomb from them before and it was just a lovely experience. 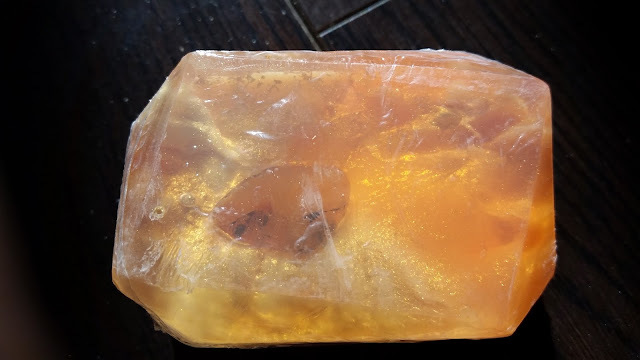 Spoiler: they also have crystals inside as well! So what are you waiting for? Check out Crystal Bar.